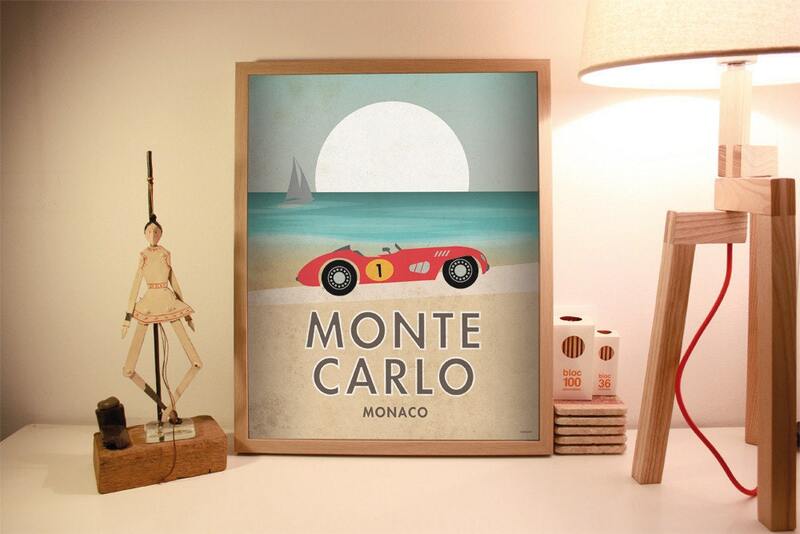 Inspired by the signs of time travel, represents one of the oldest and most prestigious Formula 1 prizes: Grand Prix of Monaco. 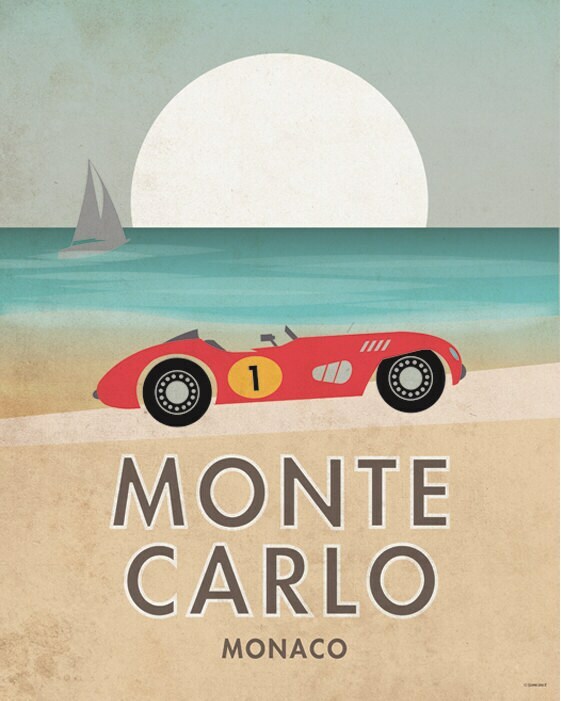 Montecarlo. Gran prix. Vintage poster. Wall decor art. Illustration. Affiche. Digital print. City. Travel. Blade dimensions: 40 x 50 cm - 15.75 x 19.69 inches.